Amador Vega promotes Tres poetas del exceso. La hermenéutica imposible en Eckhart, Silesius y Celan. 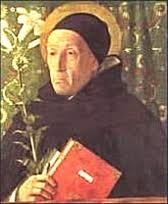 ; Meister Eckhart, Deutsche Predigten und Traktate. ; Angelus Silesius, Angelus Silesius: The Cherubinic Wanderer. ; Paul Celan, Selected Poems and Prose of Paul Celan. Meister Eckhart is currently considered a "single author." If one or more works are by a distinct, homonymous authors, go ahead and split the author. Meister Eckhart is composed of 29 names. You can examine and separate out names.